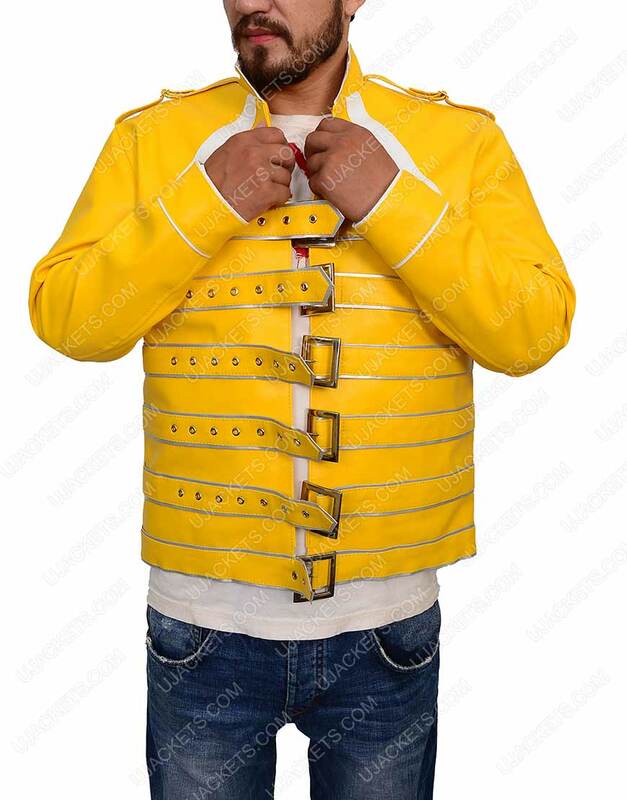 If you want to get attired just like as the lead vocalist of ever-known classic band Queen, then you surely have to grab this ultra-styled Freddie Mercury Yellow Jacket, as it gives you same meticulous and rockstar looks which you always wished for to dominate among others. 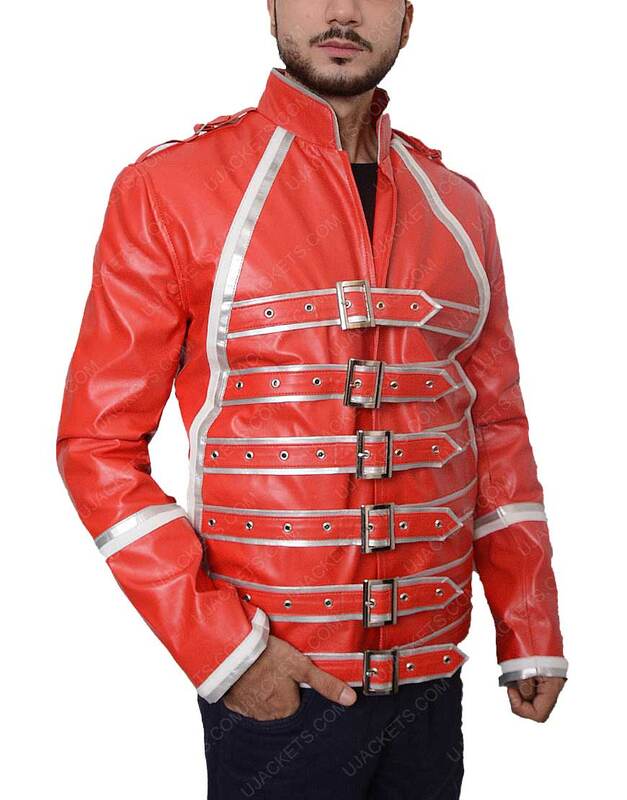 This exclusive outwear is deliberately made with synthetic leather which allots it a unique refined look of rockstar persona. 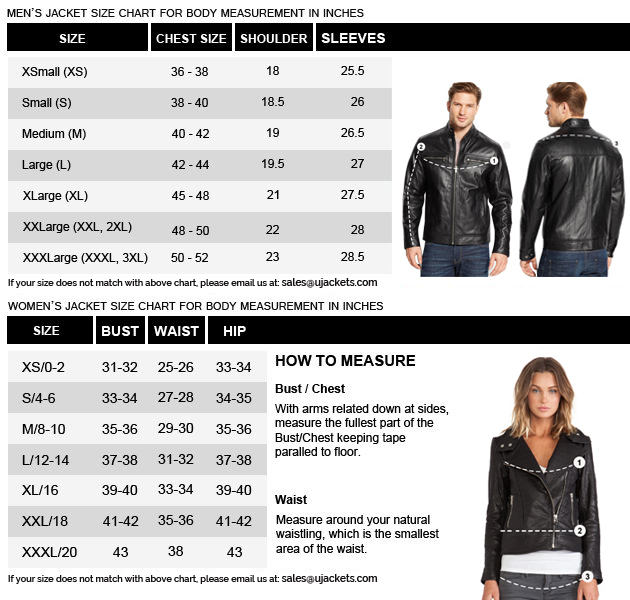 The inner side is confined with the gentle viscose lining for smooth and warm feeling, while the collar is fashioned in a bold stand style. 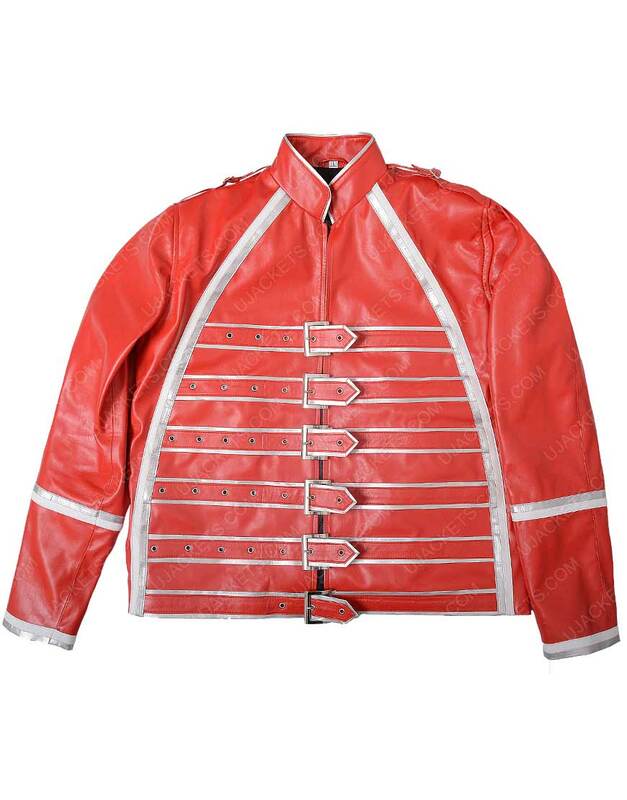 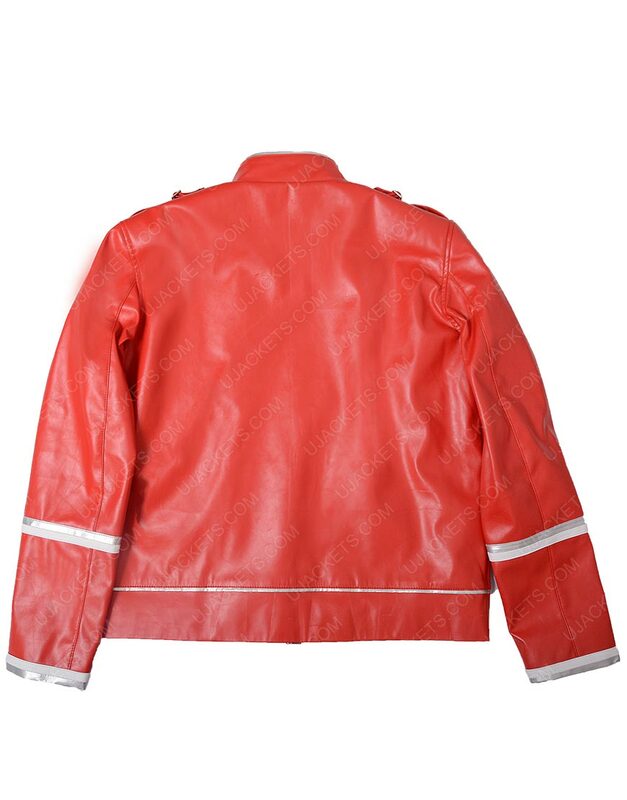 Freddie Mercury Jacket has some artistic fabrication done on it, as the front corsage is embroidered with creative buckle belts closure and inventive epaulets are confined on both sides of the shoulder. 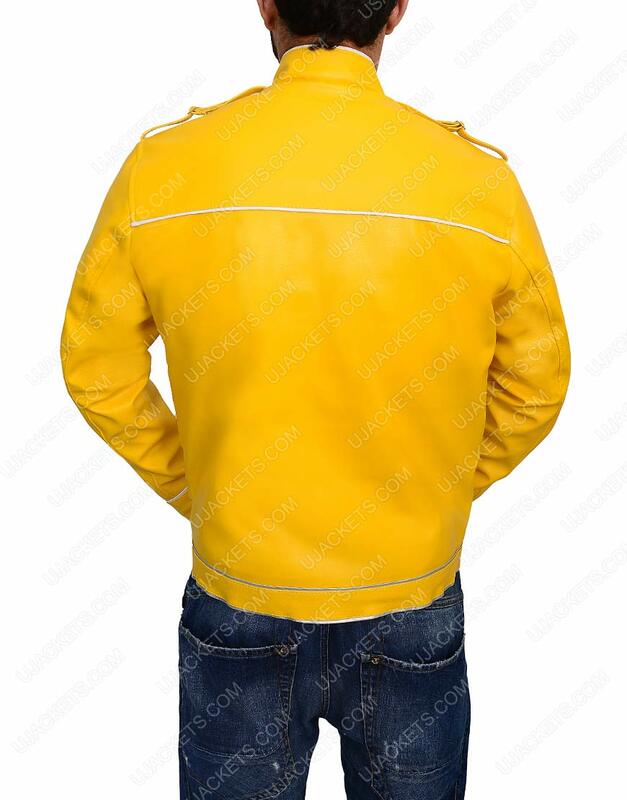 The color of the outfit is presented in bright yellow color with premium tailoring done.